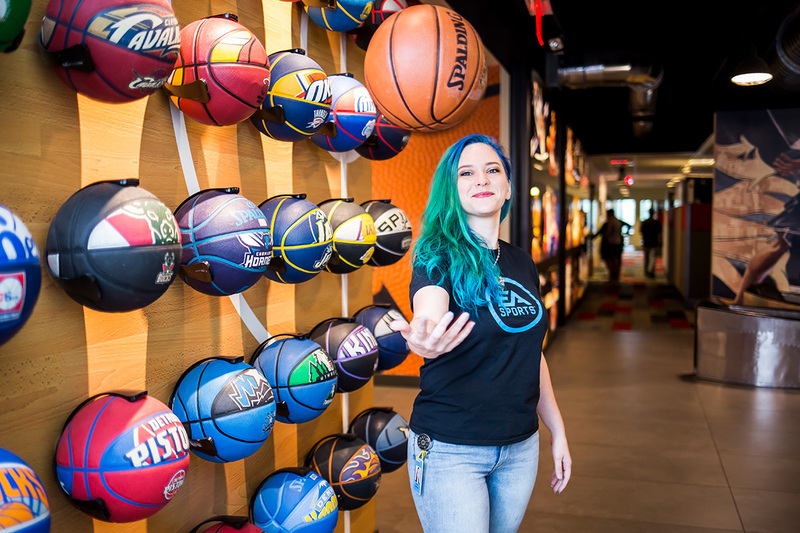 Whether she is creating characters or getting more females into video games, Karen McCarthy ’13MS leans in. “Story is king” Karen McCarthy ’13MS says with emphasis when asked about her approach to making a character. 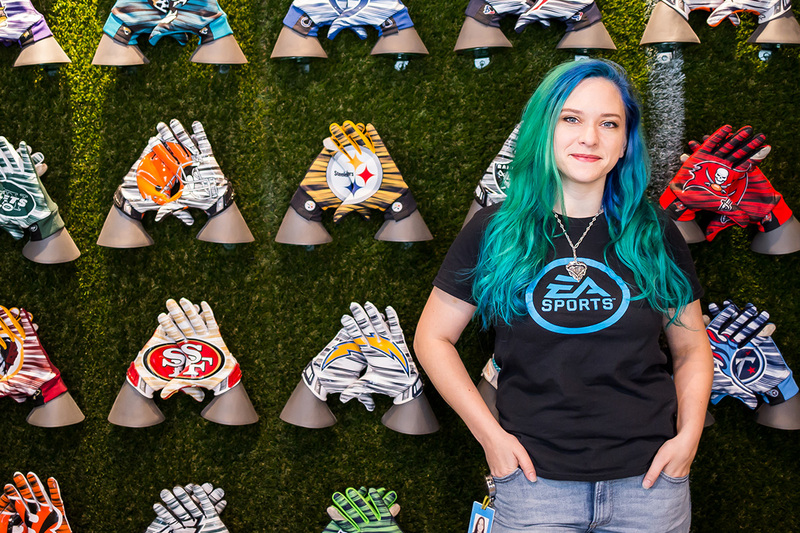 The FIEA alumna and current character artist at Electronic Arts’ Tiburon Studio has worked on EA SPORTS Madden NFL, NBA Live and Rory McIlroy PGA Tour. And before she sculpts the first pixel, she thinks about the small details that will reveal a character’s backstory. McCarthy’s job has her meeting some of the greatest athletes in the world when she goes on “scan trips” where she uses a process called photogrammetry to get a 360-degree view of a person or team. She’ll then take those reference shots to start building the character, with special emphasis on the eyes. One of her favorite work trips was hanging out with the USA Basketball Women’s National Team. That experience fed into her desire to see more women in video games as well as developing games. In 2016, when the opportunity arose to work on incorporating the WNBA players into NBA Live, McCarthy jumped at the chance. “I just thought, we have to do this right, and we’ve got to do it now,” she says. Now, players can choose stars like three-time WNBA champion Sue Bird as their character as well as their male NBA counterparts. She says it’s a really important time to be a woman in the game industry and that attitudes are changing, both at EA and in the industry in general. This year she got to participate in the Press Play Conference (sponsored by EA and FIEA) and a camp called “Get In The Game” that promoted science, technology, engineering, the arts and mathematics (STEAM) held at the studio. Both events aimed to get more girls and women interested in video games. Not bad for someone who got her bachelor’s degree in business and was selling space on truck beds before she decided to pursue her master’s degree in interactive entertainment at UCF. Now McCarthy publishes her prolific personal work on sites like Artstation and Sketchfab, getting compliments from the digital art community all over the world. For her, it’s all about keeping her skills current.